If we had to say the one thing that Who What Wear UK readers are most into right now it would have to be polka dots, as any spotty outfit always generates hundreds and hundreds of likes. Eva Mendes has become the queen of the polka dots of late, as she has created a collection of spotty pieces with the label New York & Company. 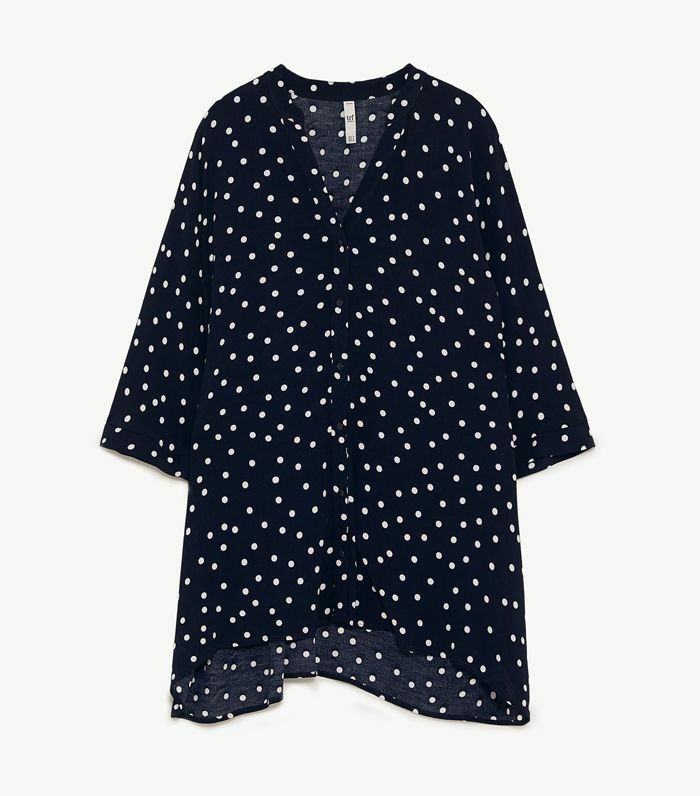 Yesterday she visited Instagram HQ in New York and proved you can never have enough polka dots, wearing a spotty navy blouse with matching trousers. Although her collection doesn't ship to the UK, you can recreate the look at Zara for only £56. Eva paired her spotty PJ look with a pair of lace-up white and black boots from Malone Souliers and a pair of gold hoop earrings. Keep scrolling to see and shop Eva's perfect polka dot look. Guys, are you impressed with my “Alice in Wonderland” acting? @evamendes, am I a natural? ??? ?